The 2017 Jaguar F-Pace is one of the trendiest and best looking cars on the market. 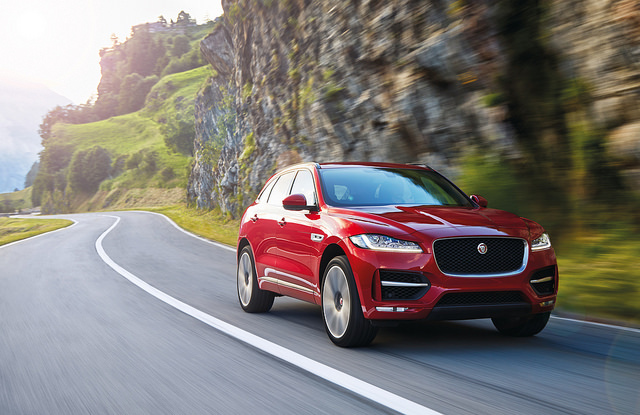 The auto is Jaguar’s initial entry into the luxury crossover and SUV market, and is predicted to be a big hit with consumers. The auto comes stock with a V-6 rated at 340 horsepower, and consumers have the choice to upgrade the drivetrain to a supercharged V-6 rated at 380 horsepower if additional power is desired. The interior of the auto is above class average, and the overall towing capacity of the F-Pace is 5,290 lbs. The auto’s fuel efficiency is slightly below average when compared to other autos of the same class with an 18 MPG (city) and 23 MPG (highway) overall rating. The top overall speed of the vehicle is 155 MPH, and the F-Pace can go from zero to 60 MPH in 5.1 seconds.